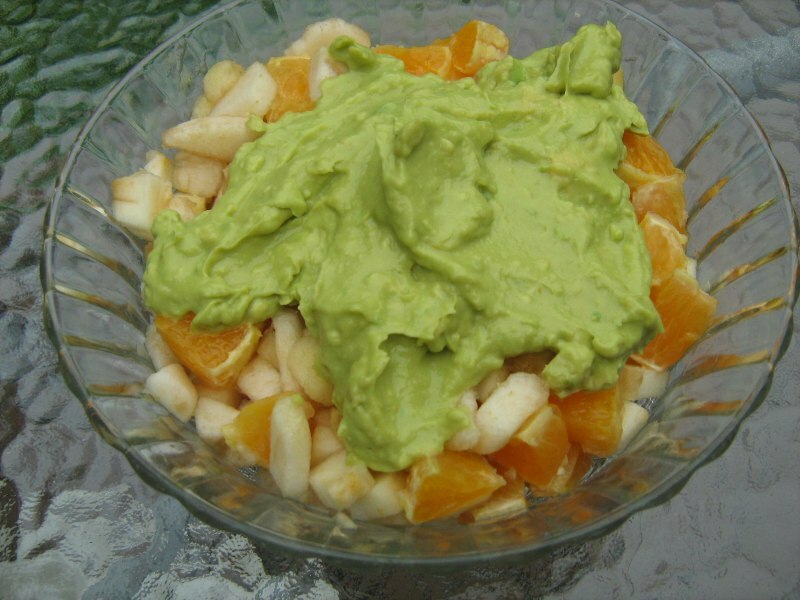 You will love the combination of sweet pears, juicy oranges, and crisp apples topped with a creamy avocado dressing. This simple Pear and Avocado salad is loaded with fruity goodness! It's not just pears and avocados. The main players are - sweet pears, crisp apples and juicy oranges - and it jumps with flavor in every bite. Top it off with a whip-cream-like, simple avocado dressing and you're sure to enjoy this salad again and again. We think the Pear and Avocado salad may become one of your favorites! 1/4 to 1/2 inch pieces. Place them in a salad bowl and mix gently to combine. juice and place it in a blender or food processor. avocado becomes creamy and smooth like whipped cream.